Is it Possible to Squirrel Proof Your Garden? Squirrels may look cute, but they can cause some damage in your garden. This can be especially noticeable from November through until April, when they find it much harder to get hold of food. They’ll dig up bulbs, raid bird feeders, and even start damaging trees to find any food source they can. Many people have mixed feelings about grey squirrels. They look delightful running around up in the trees and can often be seen in parks and green spaces, even those near roads. But if you ever get one (or more) in your garden, your view of how cute they are may change. Can you buy squirrel-proof bird feeders? Many people put out seeds and nuts for the birds to help them get through the winter months. However, if there are squirrels around, you may soon find the food goes missing and the birds are getting little if any to sustain them. It’s possible to buy baffles that fit around bird feeders to ensure they cannot climb the poles to reach the food. Various other supposedly squirrel-proof feeders can also be purchased, although some are more successful than others. How can you prevent squirrels from accessing your garden? The short answer is… you can’t. However, you can do things to prevent them causing too much hassle when they do appear. For example, if you grow crops through the year, make sure you use wire netting to provide adequate protection and cover. They are also likely to start digging up bulbs if they cannot find any other source of food. Covering the ground with chicken wire or creating a barrier over pots should suffice. Just make sure they won’t simply be able to knock it off to get to the bulbs. The great thing about chicken wire is that it won’t look unsightly. Plant your bulbs in the ground or a pot, cover them with chicken wire, then cover that with a thin layer of earth. You won’t see it and squirrels won’t be able to get through it. Have you got a major squirrel problem? 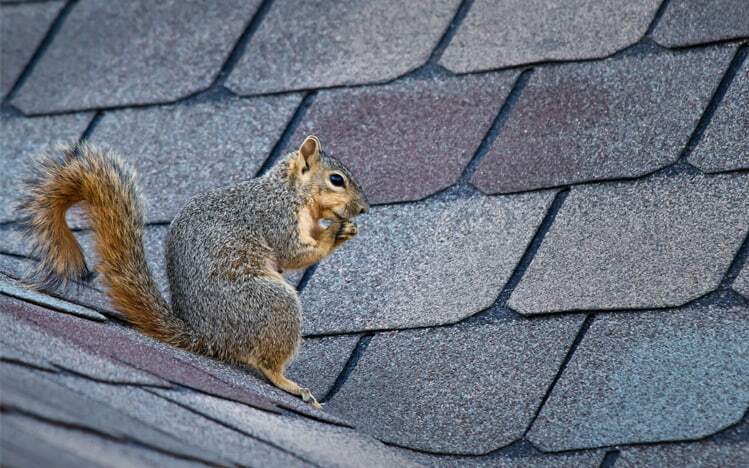 One or two squirrels can cause havoc, but if you live somewhere where they’re rife, you may consider calling in pest control experts. While squirrels can be trapped, you cannot then release them elsewhere. Pest control experts will be able to trap and kill them to solve a bigger problem if need be.